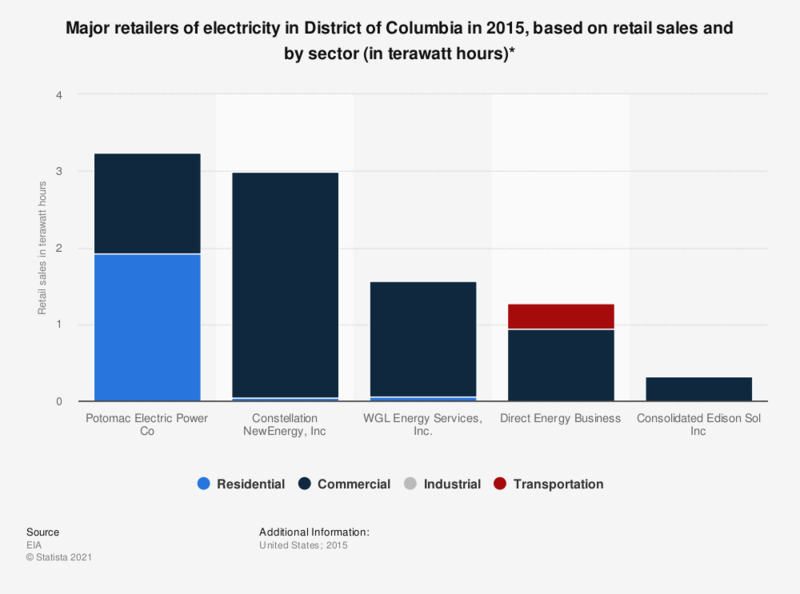 The statistic shows the major retailers of electricity in the District of Columbia in 2015, based on retail electricity sales. With around 1.92 million megawatt hours sold in the residential sector, Potomac Electric Power was the top retailer here. * Data on residential sector retail sales not available. ** Data on industrial and transportation sector retail sales not available. *** Data on residential, and transportation sector retail sales not available.